Image and data obtained by use of a remote telescope from New Mexico of the iTelescope.net network. Used telescope is 0.51-m f/4.5 astrograph. max. af(rho) value is 262 cm, coma-diameter is about 5 arc.minutes an total magnitude is 9.4. in comparison with data of a week ago is the af(rho)-value stable and totalmagnitude sligtly increased. 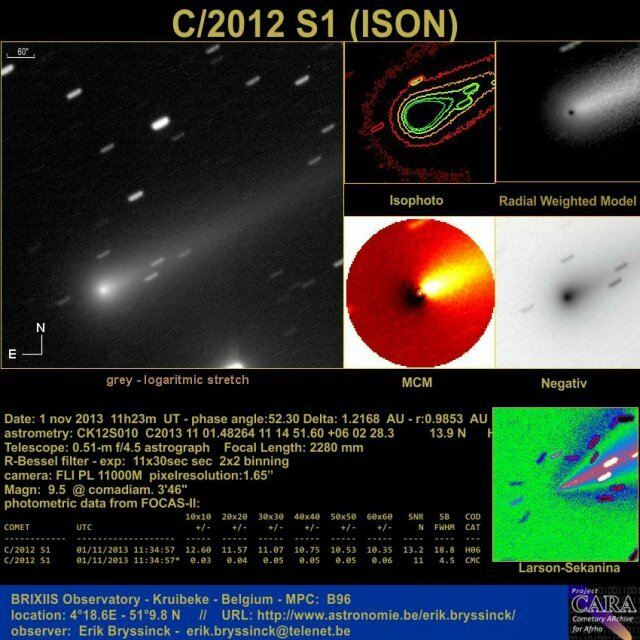 The comet is now on about 1 AU from the sun.